With the same adventurous spirit and curiosity that inspired Emmy Award-Winning Chasing Ice, Director Jeff Orlowski and the film team train their lens on the world’s oceans on a journey to reveal a mysterious phenomenon happening beneath the surface. The team follows Richard Vevers, a former ad man, who left his advertising career to become an underwater photographer. Captivated by the magic of the reefs, he sets out to reveal the oceans to the world. He meets with the world’s most brilliant coral scientists, and learns of a horrific event unfolding: an underwater heatwave is killing corals around the planet. With young scientist and self-proclaimed “coral nerd” Zackery Rago, the film team ventures to remote regions of the planet, racing the clock and battling the unpredictable nature of the ocean to document this beautiful yet haunting phenomenon. 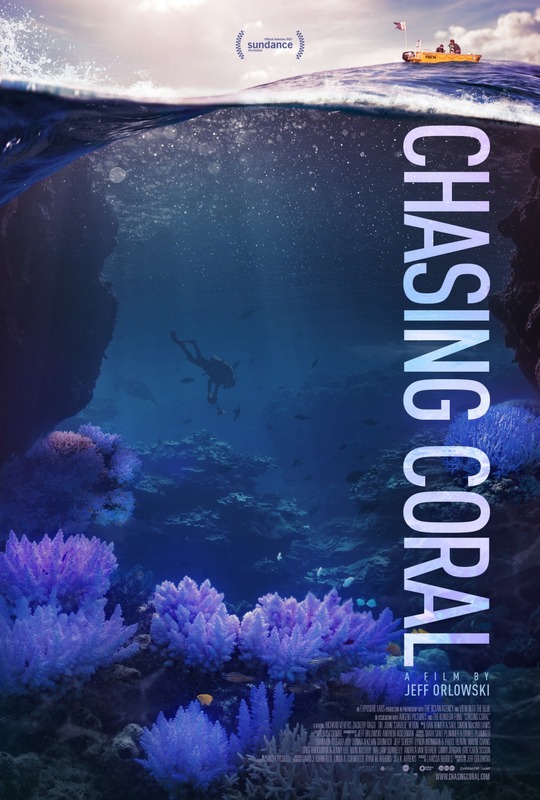 Chasing Coral was shot over three years, with expeditions to coral reefs around the world. The imagery is an ominous warning of the planet’s future along the current course; at the same time, it is a celebration of the most biodiverse ecosystem on the planet.